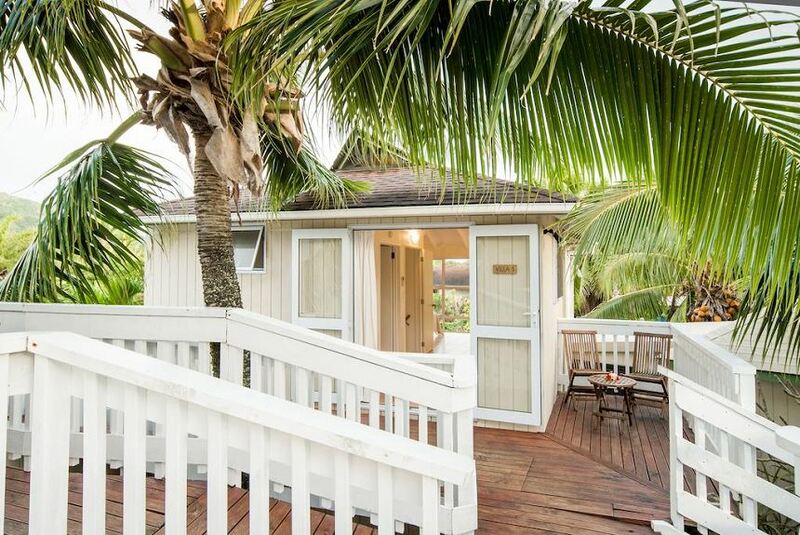 The Cooks Oasis Holiday Villas are located in Arorangi, Rarotonga in the beautiful Cook Islands . Our 9 self catering Villas are nestled within tropical gardens, our 2 bedroom Villa has views to the lagoon. Enjoy the western, sunny and sheltered side of the island and watch the fantastic sunsets. We are only 15 minutes to the main Township of Avarua and 10 minutes to the airport. So easy! Take just 60 steps to the white sand beach and clear blue lagoon (and no road to cross!). Perfect for sunbathing, relaxing, and watching the whales cruise by (whales in winter only). For some action try out our kayaks, or go snorkelling and view the tropical fish. Grab a book from our library and put your feet up by the cool-off pool. We offer one of the finest accommodation values on Rarotonga. Our secluded holiday Villa’s with comfortable and stylish pacific rooms combined with our excellent location on the island and excellent service really are a winning combination.